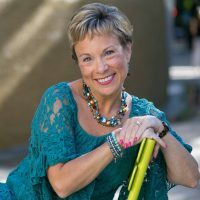 In My Strength is My Story with Dr. Michelle Bengtson, Hope Prevails, she believed she was prescribing the most effective treatments for her clients who struggled with depression. But when she experienced debilitating depression herself, she found something was missing. 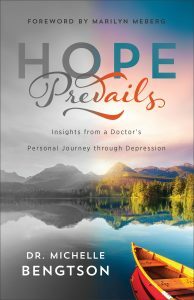 In her new book, Hope Prevails: Insights from a Doctor’s Personal Journey through Depression, she shares the missing piece discovered in her own journey. Dr. Michelle Bengtson: A devoted wife of 29 years, a mother to two beautiful sons, and two puppy dogs. Dr. Bengtson is a neuropsychologist who treats her clients for depression. She is a speaker and author of her new book, Hope Prevails. With the deep compassion of someone who has been there, Dr. Bengtson blends her training and that vital missing piece she discovered to offer you a hope grounded in God’s love and grace. She helps you understand what depression is, how it affects you spiritually, and what, but God’s grace, depression cannot do. The result is an approach that offers not just the management of symptoms, but the hope of true release. Enjoy the multitude of topics discussed including depression all wrapped in HOP! You’ll discover many nuggets of wisdom throughout this coffee chat. Hope ignited. Joy celebrated. Sit back and let yourself hear how the thief will not rob you of your joy. Hope prevails! What depressed people need to know from you? “There was a cost for me. If I really wanted to get out of that depression, I had to be willing to do the work. What would you tell someone on the sidelines who wants to help? Express your concern and compassion. Go with them to the doctor, even help schedule the appointment. Where’s your heart? Approach with love and compassion. Make an appointment with your family physician for a general health check-up. Between now and the doctor’s appointment, jot dotes of what hasn’t been normal. A greater level of empathy and compassion for those going through depression.